Secondly, it’s time to watch Sanremo Festival. Some of you may know Sanremo Festival as the Italian selection for the Eurovision song contest, but Sanremo Festival is much more. Sanremo is a tradition that is renewed every year in this period since 1950 and that, therefore, has reached its 69th edition. Actually, Sanremo is a nice representation of Italy and its historical evolution, its society and its culture. Every year almost 50% of Italians watch it while the other half hate it. In any case, absolutely the most followed program in Italy. I admit it, I watch it and, this year, I discovered a new group: The Zen Circus. Listening to it, I recognized that we have never written anything about the Venetian Lagoon. The Venetian Lagoon is an enclosed bay of the Adriatic Sea, in northern Italy, which surrounds the city of Venice. Its name derives from the Latin “lacus”, which means lake. It is such an important environment that, since 1987, the Venetian Lagoon is a UNESCO World Heritage Site. It is a very nice experience to visit the lagoon and its islands – some unpopulated – which host a wild habitat, home for many animals. It is a recommended experience if you like nature, animals, open spaces and clear skies far from the touristic places and crowds of Venice. Among the best (non-famous) islands, there are Certosa, Vignole, Sant’Andrea, Sant’Erasmo, Lazzaretto Nuovo and San Francesco del Deserto. 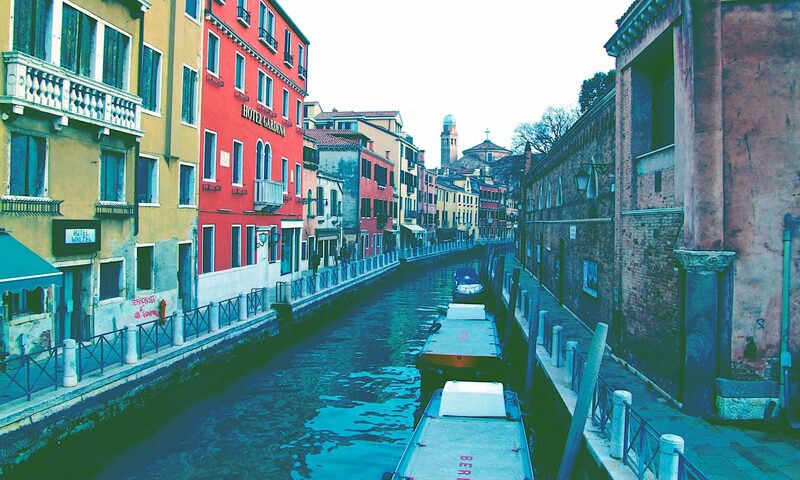 In the past and in the recent present the Lagoon has played an important role in the economic development of Venice. In the past providing protection and a natural harbor for the merchant ships, nowadays with the industrial development of Porto Marghera. In order to better protect the lagoon from the tides and other problems, the Italian Government started the construction of a series of mobile retractable barriers at the entrances. Hopefully, we have been able to satisfy your curiosity about the Venetian Lagoon, providing you with some hints and possible visits. Tell us your experience with the Venetian Lagoon, we look forward to hearing new stories from you.